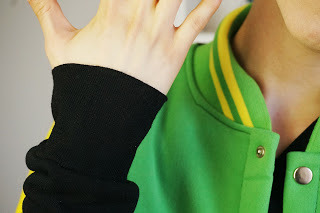 Today it’s all about my Makoto Tachibana jacket from Wig-Supplier! 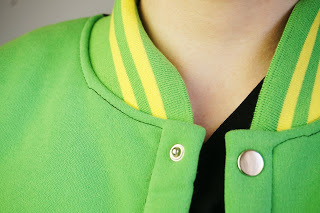 It’s a really nice and soft well-made jacket, baseball jacket design, in vibrant colors. 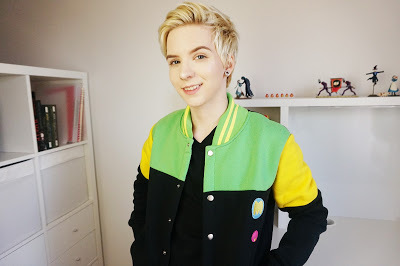 When it’s warm outside, I plan to wear it like a normal jacket instead of cosplay, since I don’t really have any plans on cosplaying Makoto! This one is a medium size, and I’m quite small (I normally go for XS and S in EU/US sizes) so I would recommend really checking the size chart twice! It’s a very sturdy piece of clothing, my favorite thing about it is that is easily can pass as daily clothing, and that it is extremely comfortable. The inside of the fabric is really soft and feels nice against the skin, and it fits really nicely. I can really see myself wearing this during spring and summer! L-email wig is the company that has provided me with some of my favorite cosplay wigs, and they are reliable and has a wide range of products, both costumes and wigs. The shipping is usually quite fast and my items have always arrived within a week or two, depending on if everything has been in stock or not. The prices are always really good! Sometimes shipping can get a little high depending on where you live, but one option is to shop together with someone if possible and then share the shipping cost. That’s mostly always my solution. It’s worth it for the quality. The customer service and replies are also very quick and polite and they handle things so well. 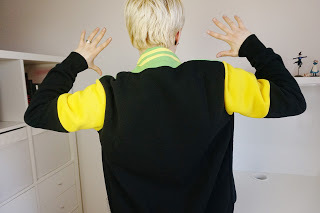 This entry was posted in Cheap Cosplay Costumes, L-email Wig review and tagged anime cosplay, cosplay costumes, L-email wig review, L-email wigs.